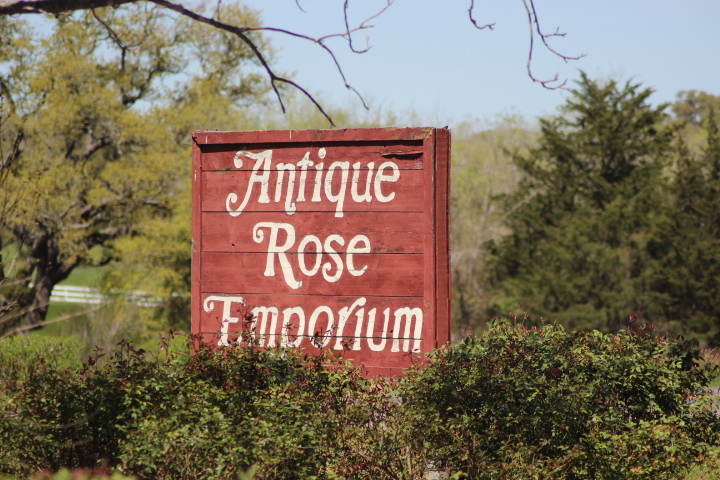 Last spring we visited The Antique Rose Emporium, a retail and mail-order nursery, about two hours east in Brenham. 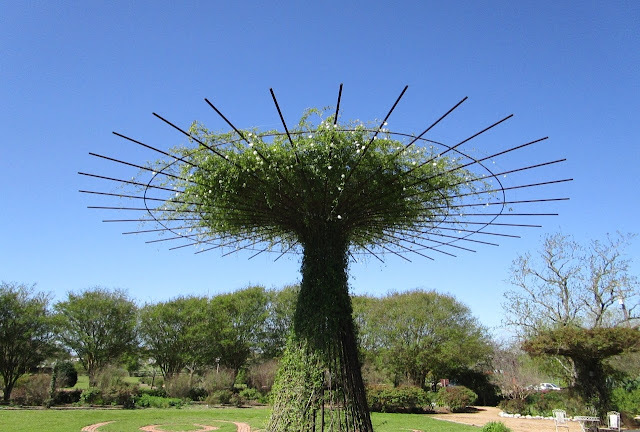 My previous post toured most of the plant sales area and part of the demonstration gardens. Now we'll take a look at the rose gardens which are available for weddings and private events. Rose bowers are the most striking features in this section of the gardens. As impressive supports for climbing roses they are similar to the famous bougainvillea bowers at The Getty Center gardens in Los Angeles. Now that my garden is nearing summer dormancy it's time to catch up on posts from last spring. When The Antique Rose Emporium in San Antonio closed a couple of years ago visiting their Brenham location became a higher priority on my list of must-visit nurseries. In March I got my chance while visiting my sister in nearby Chappell Hill. It's the Fourth of July and time to display the colors and celebrate the Red, White, and Blue from my garden this week. 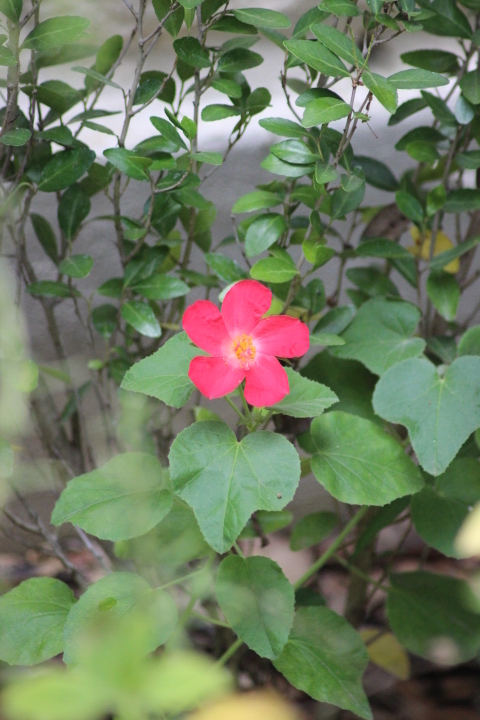 Kicking off the festivities with a first-time bloomer and current favorite plant Heartleaf Rosemallow (Hibiscus martianus). I purchased this native hibiscus from Medina Garden Nursery about 18 months ago and the deer loved to eat the buds (but not the plant) so it never bloomed until we fenced the deer out. This week marks one year of Wildlife Wednesday posts hosted by Tina at "My Gardener Says..." and I've learned so much by trying to identify all the flying, flitting and crawling things I photograph. I'm joining Tina to celebrate with a survey of some of the wildlife which visited my garden in June. 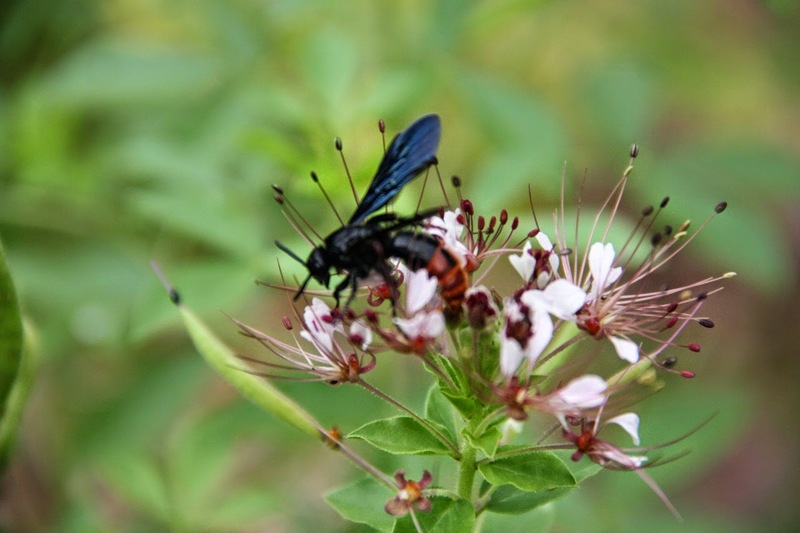 In an earlier post about Clammy Weed I noted pollinators seemed to ignore it and now several years later this easy care native plant plays host to a Digger Wasp or Blue Wing Wasp.